Just wanted to give you all a quick glance into Erin's new crib. This is the scene I left behind Wednesday night after helping her unpack her kitchen (btw, Erin, no one needs 20 cans of stewed tomatoes). 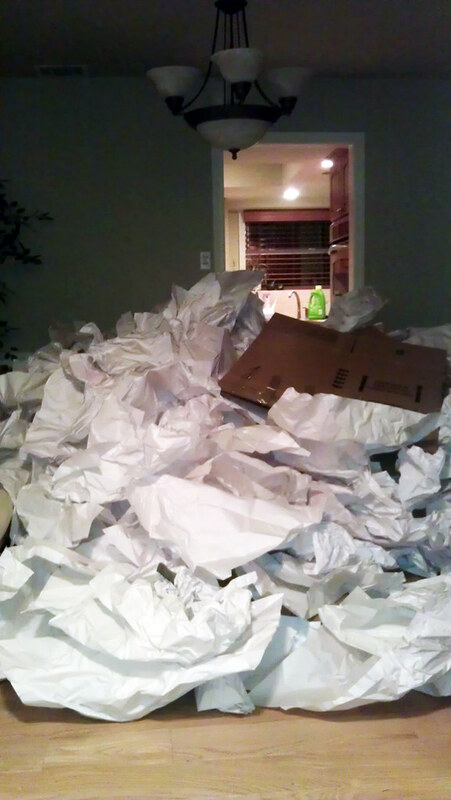 So, which is more offensive, the 5' stack of paper and boxes or the light fixture? There is a very clear winner here. P.S. I am delighted to mark this post with an "Erin's House" tag.